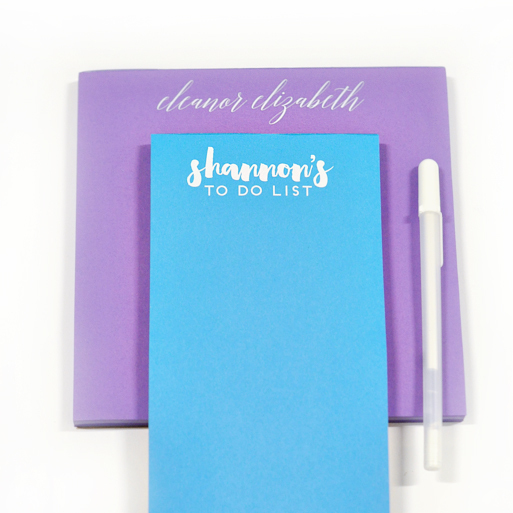 We’re sure our bright pads will fill a personalized gift void in your store at a price point your customers will love! 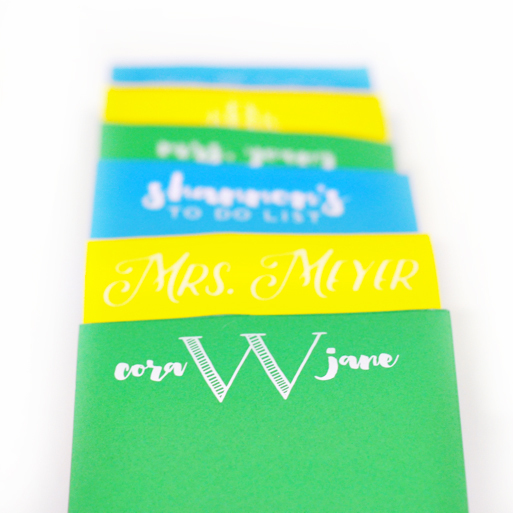 Our notepads are great for teachers, bridesmaids, house warmings and small gifts in general. All of our fonts, motifs and monograms from all of our collections are interchangeable, so the possibilities are endless in putting together à la carte pads or going with one of our lovely combos. Our pads are printed in white ink on colored paper and bound completely in house, which ensures great quality + fast processing at an affordable price and to top it off, they’re printed on 100% recycled paper made in the USA.